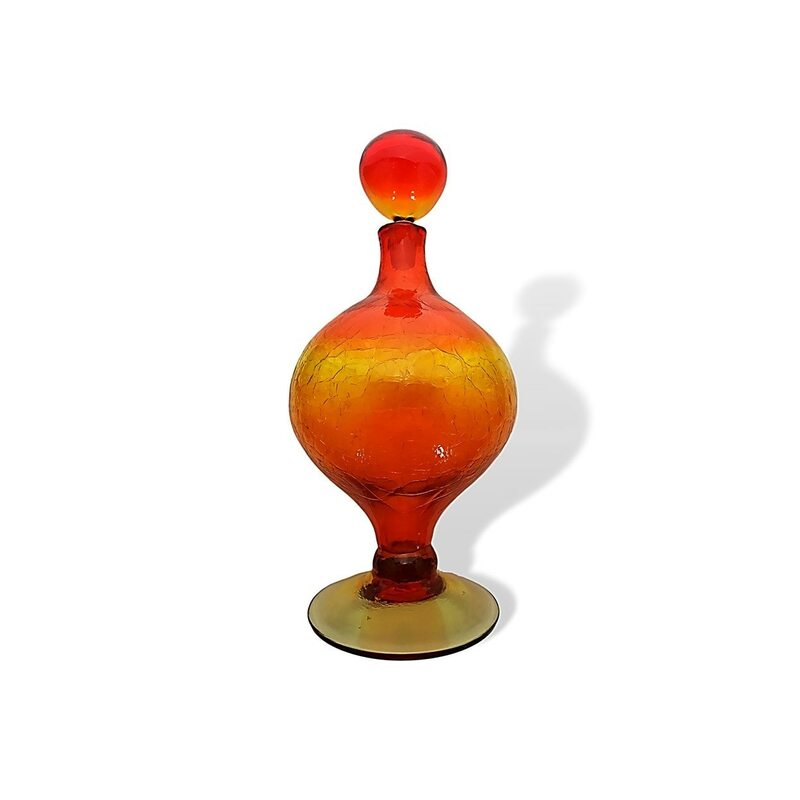 Blenko's #6211 footed decanter (a big 16" tall x 7" wide beauty), designed by Wayne Husted for the 1962 catalog, was produced between 1962 and 1964. 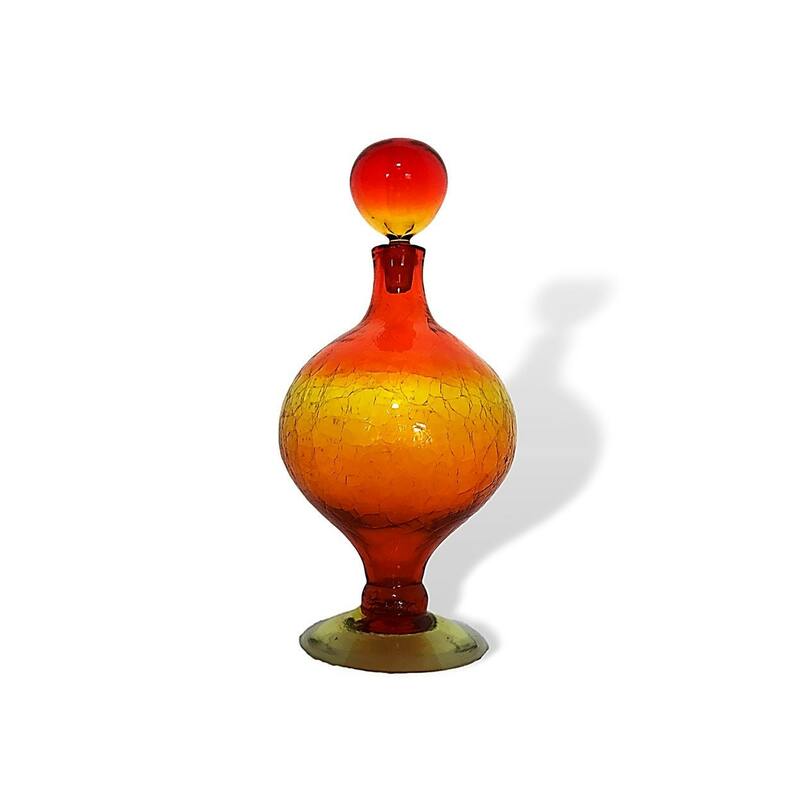 Ours, in bright sparkling Tangerine/amberina crackle glass, is in excellent shape, and a real stunner! Condition: Excellent (including the base, which has photographed oddly). Light mineral deposits near the decanter bottom, visible only in strong direct light (impossible to spot on display).